Find Lochbuie, CO Homes for sale. View Photos, Maps and MLS Data Now! Silver Peaks - Stop by today!! Photos not of actual home. MLS#8675731. D.R. Horton Realty, LLC. Silver Peaks - Photos are representative, not of actual home. MLS#1742125. D.R. Horton Realty, LLC. Lochwood - NO HOA -New roof and gutters in 2018 MLS#8925702. Herbert Realty. Beautifully card for inside and out. Priced to sell! MLS#4378556. RE/MAX Alliance. A great opportunity, don't wait! MLS#6127020. Colorado Heart and Soul Homes, LLC. Nice 3 bedroom 2 bath 2 car garage fenced Refrigerator wa/dr dog run with extra parking for 3 cars. MLS#5656606. WOOD BROTHERS REALTY. Blue Lake - Beautiful turn key home ready for you! MLS#5572807. Madison & Company Properties. Highplains - Close to schools, grocery stores, parks, and only 30 minutes to Denver. Wonderful community! MLS#3606730. RE/MAX Alliance on Walnut. Hurry, Hurry, this one won't last long. MLS#6984000. COListings Real Estate. Silver Peaks - Photos Are Representative, Not Of Actual Home. MLS#1520337. D.R. Horton Realty, LLC. Silver Peaks - Photos Are Representative, Not Of Actual Home. MLS#3312031. D.R. Horton Realty, LLC. Silver Peaks - Stop by today!! Photos not of actual home. MLS#8006048. D.R. Horton Realty, LLC. Blue Lake - Minutes from highway, skate park, park, Prairie Shopping Center, Adams Cty Fairgrounds, Brighton Court House. Only 25 mins from DIA. 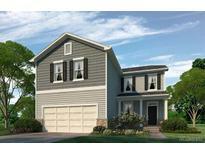 MLS#7999165. American Home Agents. Silver Peaks - WALKING DISTANCE TO NEW MEADOW RIDGE ELEMENTARY SCHOOL AND NEW COMMUNITY PARK! Photos not of actual home. MLS#3654619. D.R. Horton Realty, LLC. Silver Peaks - Stop by today!! Photos not of actual home. MLS#6249570. D.R. Horton Realty, LLC. Silver Peaks - Photos Are Representative, Not Of Actual Home. MLS#3423633. D.R. Horton Realty, LLC. Silver Peaks - Photos Are Representative, Not Of Actual Home. 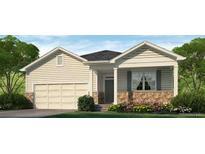 MLS#8451822. D.R. Horton Realty, LLC. Highplains - New furnace and hot water heater! ! MLS#3770669. Madison & Company Properties. Upgrades: New roof (hail resistant shingles, ridge vent system, new gutters and downspouts), Radon mitigation system, under stair storage closet, pergo EXP flooring throughout main floor, natural gas plumbed for BBQ grill, ceiling fans in all bedrooms and living room, air conditioning, ceiling storage shelves in garage. MLS#3707729. RE/MAX NORTHWEST INC.
Blue Lake - Nice sized lot, with a great backyard! mineral rights negotiable. MLS#6902687. eXp Realty, LLC. Blue Lake - Sellers are generously offering a 1 year home warranty! MLS#8322614. SELLSTATE ACE REALTY. The HOA has a low monthly fee of $25, which includes common areas and the neighborhood park only 1/2 block away. You will love it all! 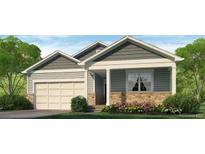 MLS#7005699. MB BELLISSIMO HOMES. Come add your touches and make this your home. 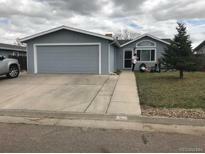 MLS#2747869. RE/MAX MOMENTUM. Minutes from community park and I-76. MLS#8670933. The Gala Realty Group Llc. Highplains - This home absolutely shines; it will not last. MLS#5437196. JKM ASSOCIATES.